For many years, Ralph Blum's Book of Runes has helped people discover the power of runes as an oracle and tool for self-awareness. The first edition of this set was published in 1983, and this 25th Anniversary edition in 2008. The runes are an ancient Germanic oracle consisting of 24 symbolic markings or glyphs carved into stones. This set includes 25 actual ceramic rune stones, the basic 24 and one blank rune. 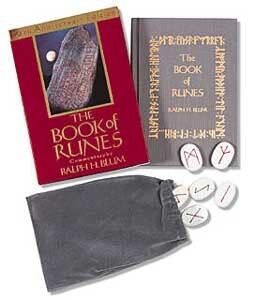 The set also includes a drawstring bag to hold the runes and The Book of Runes instruction guide. 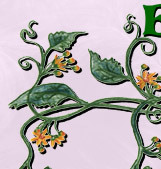 In this companion book, Blum describes the history of the runes and offers advice on runemal, the art of rune casting.